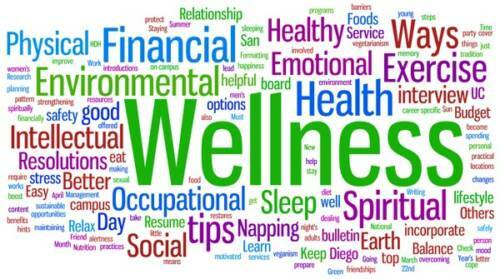 Since spring of 2017, AWC has been running monthly Wellness Challenges. Because I’ve received so many questions about the groups and what they entail, I thought I’d write a blog devoted to that question. I’ve always been interested in finding a healthy weight loss solution for my patients. Some patients come to me with this goal in mind from the start, and others would find their low back ailments drastically reduced by losing a few (or more) pounds. Over the years, people have brought in every new “miracle” pill or program that’s out there. Ninety percent have been loaded with chemicals, preservatives and other ingredients that are questionable at best and toxic at worst. I think most people understand that there’s no replacement for balanced nutrition and an exercise program, but some are willing to dream that there’s a more passive route for dropping some weight or getting in better shape. As a practitioner, teaching people fundamental nutrition and a multi-faceted wellness regimen was something I’ve always wanted to offer to my patients, but felt too big to take on while also addressing their musculoskeletal complaints. In summer 2016, a patient brought me a sample of a superfoods shake. Inherently skeptical, I was surprised to see that in addition to the standard protein (both whey and vegan formulations), it contained digestive enzymes, prebiotics, probiotics and then other adaptogenic herbs like Ashwaganda, Astragulus, Maca powder and (lots) more. I carried several of those items separately, and most were not a low price point. To see them together was a surprise. Even better, it tasted amazing, especially considering the types of cleanses and shakes that most of my “through physician only” supplement lines made. Because the supplement was not made by one of those lines, I personally consumed the shake for a year while also vetting the company and formulation. While weight loss was not a goal of mine I found the following results: less joint pain, less cravings, more sustained energy, better sleep and better digestion. At this point, I decided I couldn’t not share it. 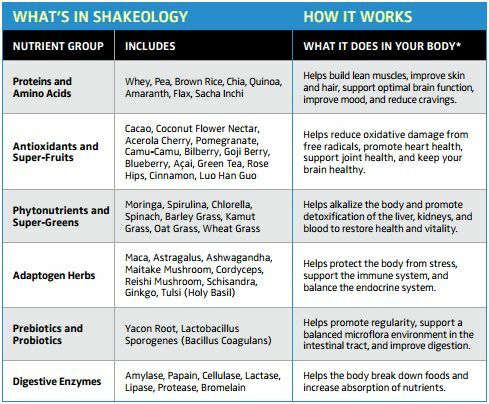 The most remarkable part about this formulation (to me) is the phytonutrients (which everyone is deprived of and help to detoxify and alkalize the body) and the adaptogenic herbs. Adaptogens are special herbs that often grow in harsh climates and conditions, at high elevations and on mountaintops where the soil is rocky and oxygen is thin. Because these plants have to adapt to very harsh conditions, they have been traditionally said to have highly concentrated nutrients that can help your body cope with stress, and help neutralize harmful free radicals. What’s even more remarkable: in the body, they always work towards balance ( i.e. if you are too “high” in something, it lowers it and if you are too “low” in something they raise it). Non- GMO, NO preservatives, colorings, chemicals or added garbage. It is composed of whole foods, not extracts (meaning your body knows what to do with it). I really think of it as a fresh food. It’s also low on the glycemic index. You can see why weight loss is just one of the reasons you’d drink this shake! While I started out with just the superfoods shake, it was only one component of a more comprehensive program including moderation based nutrition, a daily exercise program and accountability, which is the other magical part of the program. Since I needed to shake up my workouts anyway, I thought, “Perfect.” What I didn’t expect was that a lot of my overuse injuries would disappear (a product of doing the same workout for 5 years). The 21, 30, 60 and 80 day programs are designed by master trainers to work your body and promote BALANCE. In the six months I’ve been doing them, I’ve gotten functionally so much stronger, feel more balanced and am more able to withstand daily physical stresses (hello, adjusting :). There are over 600 workouts to choose from and dozens of complete programs, from Tai Chi to dancing to weights to MMA to HIIT training. All have modifications, so you can adapt each move to your particular needs. They are streamed via WiFi or can be downloaded to any device. They are great for travel and most are 30 minutes. If you are a gym -goer, get ready to save a ton of money and even more time. No trips to the gym, no childcare. Just you and your living room and a good quick sweat sesh. The 21 or 30 day programs I host are run via a private app; no one except the challengers can see the group. I provide challengers with lots of great information like meal plans, workout tips and kitchen hacks. The nutrition plan is portion control; it is less of a diet and more of a way of living. Nothing is “off limits,” there’s no hard and fast rules, and you will not feel deprived. It’s filled with motivation and accountability (from both “coaches” and returning “challengers”); everyone else there is working towards the same goals. As your chiropractor, am also uniquely qualified to help you with exercise and diet modifications if necessary. “I’m down 7 inches and 7 pounds. I feel great!” -K.S. ” I lost 3 lbs and 8 inches. Proof the scale doesn’t tell all!” – K.C. ” I lost 5 pounds and 5.5 inches. I already feel lighter on my feet!” -M.O. “I lost about 5 pounds and I didn’t even do the workouts! Ready for another round, and hoping to incorporate more exercises as my injuries allow.” – A.S.
“I lost almost 5 pounds and about 4 inches.” -M.S. “I’m down 10 pounds and feel good in my skin.” -D.W.
“I’ve lost over 25 pounds! I’m skinny and happy!” -E.P. So whether you’re looking to drop a few pounds, need to shake up your routine, or just get back to feeling like you, this is the answer. I feel obligated to pay it forward and wish I had found this years ago. If you have any questions, please reach out! I’m never to busy to help you towards your wellness goals.